Ulexite is a natural source of boron, it is similar to colemanite mineral. These two minerals are the only practical sources of insoluble boron for glazes (other than frits). Ulexite one of the lowest melting non-lead ceramic minerals, it can form an ultra-gloss transparent glass at cone 06. Strangely this material does not appear to flux bodies nearly as well as one might expect. Ulexite is a truly uncommon ceramic mineral in that it contains almost no alumina or silica, it is nothing but fluxing oxides. This mineral forms in unusual geologic circumstances and can be found in very few places in the world. The chemistry given here is theoretical, actual deposits will have lower boron content. 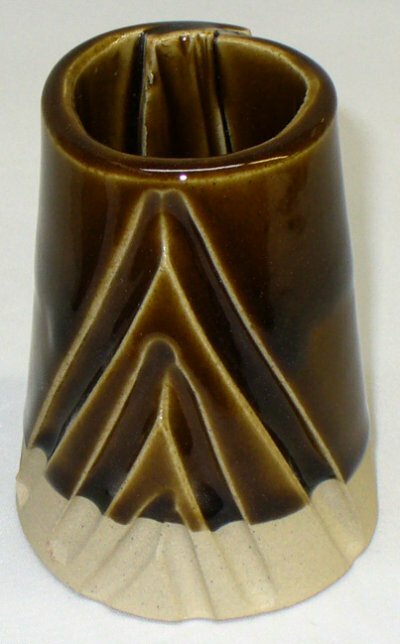 The popular mineral Gerstley Borate, used by potters for many decades is, is composed partly of ulexite. It was mined and stockpiled in the California desert many years ago. The last remaining stockpile is being ground, bagged and sold by Laguna Clay. 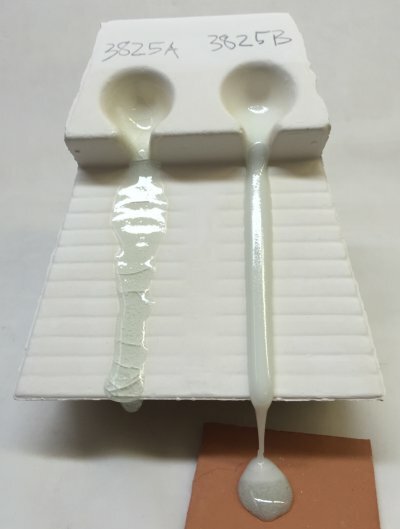 Ulexite is available in small quantities for potters at Plainsman Clays. While Ulexite melts well, it does have a very high LOI (that means that gases are generated during melting). For this reason it is not possible to produce ultra-clear glazes at low temperatures (as with frits). Notwithstanding this, by doing a double-soak firing it is possible to clear many more bubbles. Thinner glazes layer are also much more transparent. Ulexite is available industrially from Turkey and Chile. It is used in the fiberglass industry as a melter but its potential has never been exploited to any extent in ceramic glazes. 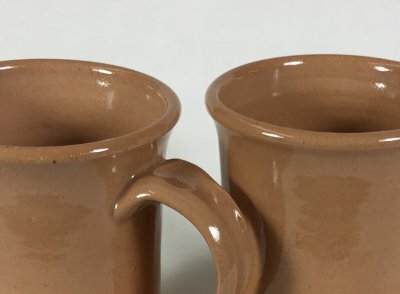 What is the secret of the higher gloss glaze on the right? Yikes, it is lead! 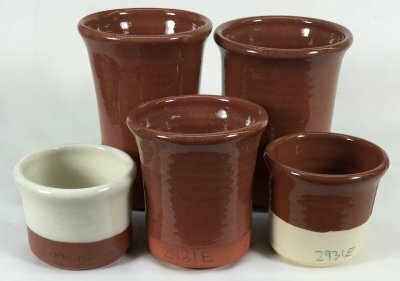 These cone 04 glazes have the same recipe (a version of Worthington Clear sourcing B2O3 from Ulexite instead of Gerstley borate). While the one on the left is OK, the one on the right is great! Why? It has 10% added lead bisilicate frit. Of course, I would not recommend this, I am just demonstrating how well it melts. 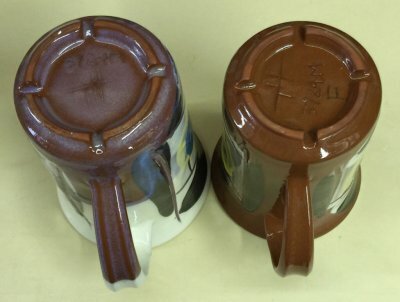 Still, we gasp at the thought of using lead while we thrive on unstable flux-deprived, glass-deprived and alumina-deprived base stoneware glazes with additions of toxic colorants like chrome and manganese! Two clear glazes fired in the same slow-cool kiln on the same body with the same thickness. Why is one suffering boron blue (1916Q) and the other is not? Chemistry and material sourcing. Boron blue crystals will grow when there is plenty of boron (and other power fluxes), alumina is low, adequate silica is available and cooling is slow enough to give them time to grow. In the glaze on the left B2O3 is higher, crystal-fighting Al2O3 and MgO levels are alot lower, KNaO fluxing is alot higher, it has more SiO2 and the cooling is slow. 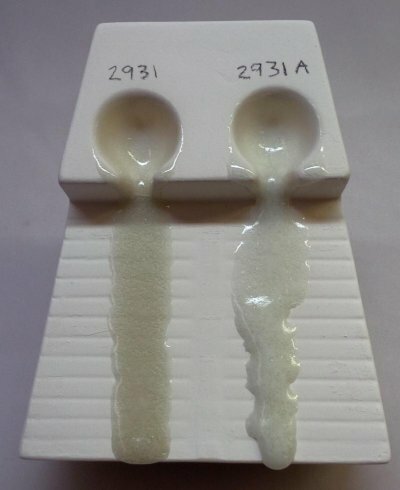 In addition, it is sourcing B2O3 from a frit making the boron even more available for crystal formation (the glaze on the right is G2931F, it sources its boron from Ulexite). 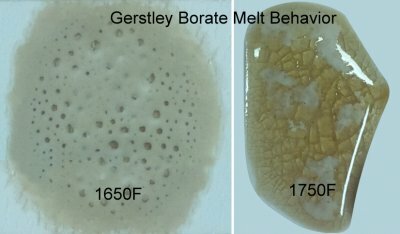 Low fire glazes must be able to pass the bubbles their bodies generate (or clouds of micro-bubbles will turn them white). This cone 04 flow tester makes it clear that although 3825B has a higher melt fluidity (it has flowed off onto the tile, A has not). And it has a much higher surface tension. How do I know that? The flow meets the runway at a perpendicular angle (even less), it is long and narrow and it is white (full of entrained micro-bubbles). Notice that A meanders down the runway, a broad, flat and relatively clear river. 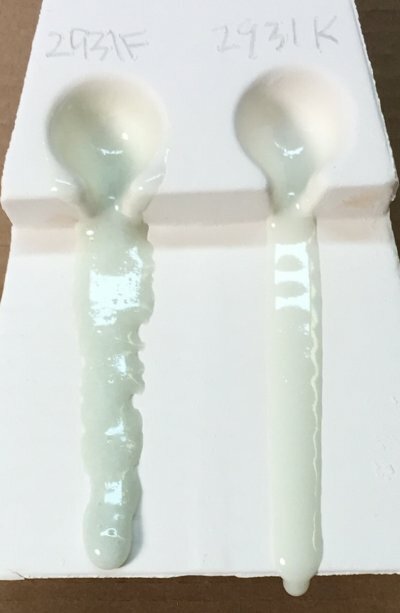 Low fire glazes must pass many more bubbles than their high temperature counterparts, the low surface tension of A aids that. A is Amaco LG-10. B is Crysanthos SG213 (Spectrum 700 behaves similar to SG13, although flowing less). However they all dry very slowly. Watch for a post on G2931J, a Ulexite/Frit-based recipe that works like A but dries on dipped ware in seconds (rather than minutes).